Imagine going to school on a boat. This is what the children of the Haor (river basin) in Bangladesh do every day. But only boys go on to secondary schooling on these floating schools – and the girls are left behind. PAWA is raising money to build a floating school for the girls to continue their secondary education – find out how you can help. The “Haor” (river basin) dwellers in Bangladesh are isolated from the mainland for nine months of the year, and therefore cut off from service provisions such as schools. There are currently a number of floating schools at primary level for both boys and girls but at the moment, the only secondary schools are for boys. The girls are left behind. PAWA are addressing this issue by raising funds to build a floating school for girls in the Haor region. Last year, PAWA raised £8,163, which was the cost of building the boat that will become the floating school. We now need to raise the running costs for the school for at least one year – this comes to £4,854. 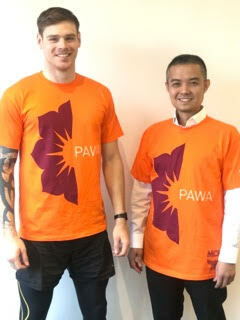 PAWA supporters Wes Masters and Irwan Mihat are stepping up to the challenge of raising this money by running the London Marathon. Wes Masters is a trainer with British Military Fitness, having been a decorated soldier. Irwan Mihat is a fund manager for a Malaysian investment house based in the City. We will meet them properly over the next few weeks as they tell us more about themselves and why they are doing this fundraising challenge. The girls of the Haor region need us to raise 3 years of funding for the running of their floating school. In total that comes to over £12,000. PAWA is aiming to raise a bit at a time – so our first goal is to get that first year’s funds in the bag. We are working with partners Learning for Life and Bangladesh based POPI (People’s Oriented Program Implementation) who are working on the ground to make the project happen. It is estimated that the school enrolment of children in this area of Bangladesh is as low as 37%. The literacy rate of the adult population is staggeringly low at 16%. During the monsoon and post monsoon seasons the surrounding area floods and villages are forced on to tiny islands cut off by 30-40 feet of water. As a result, more than 90% of children and teenagers do not have access to education during that time. In addition to the poor education provision, ill health, malnutrition and social exploitation which form part of their daily lives, children and youths are forced to work, often in very dangerous environments. Teenage girls are more likely to have their education cut short and have to get married since they can’t work in such a dangerous environment. More than 60 girls have completed primary education from POPI’s existing floating schools but cannot attend secondary school because of lack of access. Secondary schools are far from their home/village and for 6 months of the year, due to flooding, it is not safe for an adolescent girl to go to school on her own. Due to recent work with the communities by Learning for Life’s partners, there is better awareness about the benefit of education. 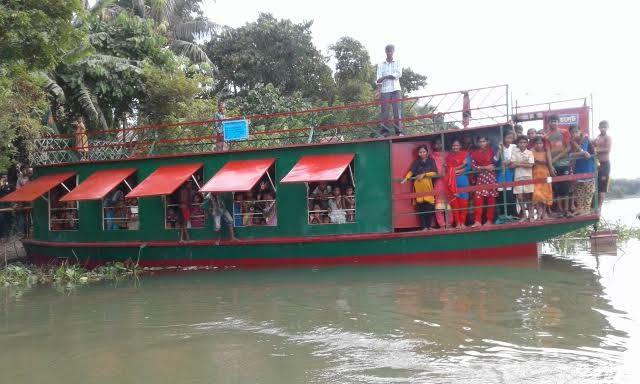 Now both teenaged girls and their parents are desperate to have a floating school for the girls’ secondary education. 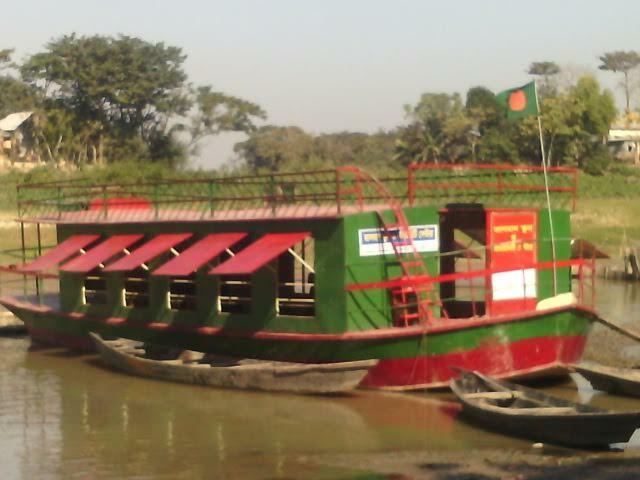 The floating school project is hugely valuable to the people of the Haor region in Bangladesh. It will change the lives of many girls – and their families – by offering safe and easy access to secondary education to these young women. Higher education will open up more opportunities for them beyond hard manual labour or marriage. This is a significant opportunity to create change in one of the poorest parts of the world. We hope you will support Wes and Irwan in their fundraising challenge.